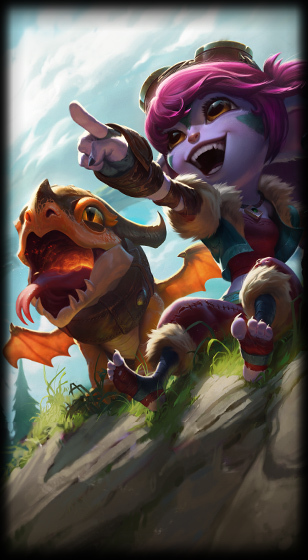 Surrender at 20: Dragon Trainer Tristana now available! "I've got a dragon and I'm not afraid to use him." Dragon Trainer Tristana and the Riggle Ward skins are now available for purchase! BEWARE OF DRAGON and Continue reading for previews of this fiery new skin! 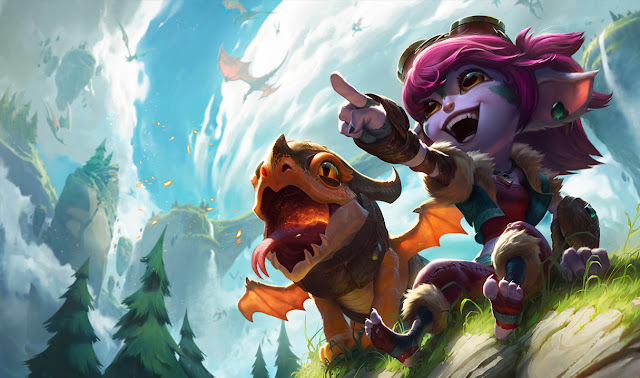 For a better look at the Dragon Trainer Tristana and Riggle duo, check out the release page - "Welcome, Dragon Trainers" or continue scrolling for video previews! The release page also includes a spicy Dragon Trainer's Video Guide, Volume One! Riggle, Dragon Trainer Tristana's faithful dragon, is also available in ward skin form! Need more? Check out the original teaser for Dragon Trainer Tristana - Dragon Trainer's Field Guide. In case you missed it, here is a 1920 x 1080 version of the Dragon Trainer Tristana's splash art!